On Saturday night, the Duke Blue Devils will hit the road to take on the Virginia Cavaliers in an ACC top-3 blockbuster matchup. Duke comes in ranked 2nd in the nation with a 20-2 record and is in 2nd place in the ACC. Virginia comes in ranked number 3 and is in 1st in the ACC with a record of 20-1. Duke defeated Virginia 72-70 at Cameron Indoor Stadium on January 9th. Duke is coming off an 80-55 win over Boston College on Tuesday and has won 6 straight games. Against BC, Duke trailed by 2 at halftime but exploded for 52 points in the second half to earn the blowout victory. Cam Reddish led the Blue Devils in scoring with 24 points on 8 of 16 shooting. RJ Barrett added 19 points on 5 of 12 shooting. Zion Williamson scored 16 points on 7 of 12 shooting and grabbed a career-high 17 rebounds to lead the team. Tre Jones tallied 11 points and 5 rebounds. 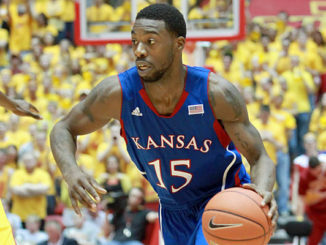 Williamson and Jones tied for the team lead in assists with 3. Virginia is coming off a 56-46 win over Miami last Saturday and has won 4 straight following their loss to Duke. De’Andre Hunter led the Cavaliers in scoring with 14 points on 6 of 13 shooting. Mamadi Diakite scored 11 points on 4 of 7 shooting and grabbed 6 rebounds. Kyle Guy added 10 points on just 4 of 15 shooting. Jack Salt led the team in rebounds with 9 and scored 7 points in just 18 minutes. Kihei Clark was the leading assister in this one with 6. R.J. Barrett is the leading scorer for this talented Duke team. 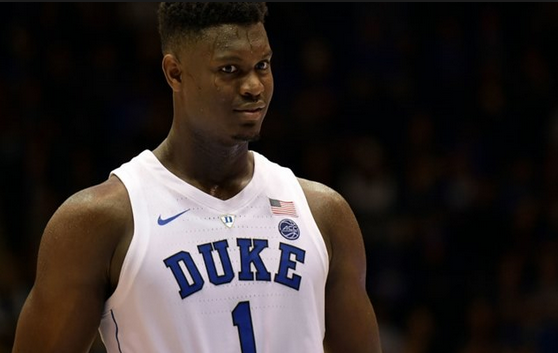 Barrett drops in 23 points per game, and Zion Williamson has been just as good with 22 a game. Cam Reddish is the only other Blue Devil averaging double figures, scoring 13.5 points a game. Williamson is the leading rebounder for Duke with 9.4 a game, and Tre Jones is the leading assist man with 5.5 per game. The Blue Devils do not have a player shooting above 40% from 3-point range and are not good from the free throw line, shooting just 67.6%. Duke has been incredible on offense this season, averaging 87 points per game on 48.6% field goal shooting. They have held opponents to 65.2 points per game. Virginia is led by sophomore standout De’Andre Hunter, who averages 14.7 points per game. He is followed by Kyle Guy, who scores 14.5 a game, and Ty Jerome, who adds 13 a game. This trio has been deadly from 3-point range as Hunter shoots 43.2%, Guy shoots 43.8%, and Jerome shoots 40.6% from beyond the arc. Jerome is also the leading assister with 4.9 a game. Braxton Key leads the Cavaliers in rebounding with 5.9 a game and chips in 7.1 points per contest. Virginia has once again been one of the best defensive teams in the county as they are holding opponents to just 52.9 points a game. The offense has been solid as well, scoring 72.9 a game while shooting 47.7% from the floor. Virginia comes in at -2. I think the home fans will be the key in this one for Virginia, just as it was when the 2 teams played at Duke. The defense of Virginia will stifle the Blue Devil offense on their home court, just as they have done to every other opponent at home. I think the offense of Virginia will do just enough on offense behind a big game from Kyle Guy to secure the win. Take Virginia -2.